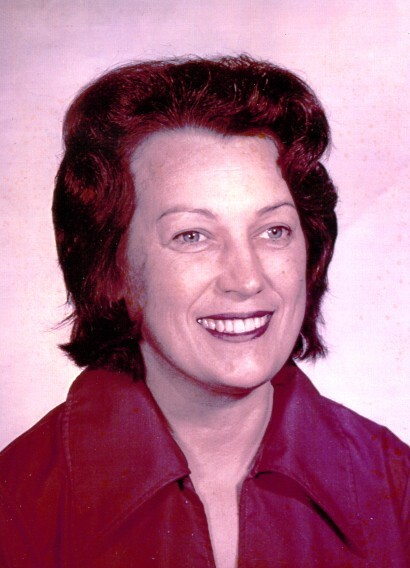 Patsey Lee (Baker) Jennings, age 83, of El Dorado Springs, MO, passed away March 17, 2015. She was born in Filley, MO, on October 14, 1931. She was united in marriage to John Jennings on October 20, 1947. They stood by each other for 67 years. Patsey was a loving wife, mother, and grandmother. Her greatest joy was cooking for and caring for her family. She was well known for her baking skills. She made pastries that were both delicious and beautiful. No one ever left her house hungry. Patsey loved spending time with her family. She loved to sing with her grandchildren. One of her favorite songs was “I’ll Fly Away.” She had a big heart and was kind and compassionate to everyone. Preceding Patsey in death were her parents, Noah and Mittie Baker; brother, Ferrel Baker; and son, Barry Kent Jennings. Those who will miss Patsey greatly include her husband, John Jennings; siblings, Tellmo Baker and Dixie Fowler; children: Jack Jennings and wife, Hun, Karen Sue Boultinghouse and husband, Don, Brian “Chip” Jennings, and Jeff Jennings and wife, Tara; daughter-in-law, Judy Jennings; grandchildren: Jacquelyne, Jason, Tara, Melanie, Shawn, Amanda, Josh, Skyler, Tristen, and Tessa; great-grandchildren: Lance, Kaleb, Rachel, Michaela, Kade, Ashleigh, Katelyn, David, Cameron, Eli, Tate, Grady, and Griffin; and numerous nieces and nephews. Funeral services for Patsey Jennings were held on Friday, March 20, 2015 at 2:00 p.m. at Bland-Hackleman Funeral Home with Mike Pace officiating. Music was provided by the Church of Christ Singers. Interment followed at the El Dorado Springs City Cemetery under the direction of Bland-Hackleman Funeral Home. Pallbearers were: Jason Jennings, Skyler Jennings, Josh Jennings, Shawn Boultinghouse, Kaleb Jennings, and Tristen Jennings.